Prepare to look absolutely sweet wearing this See by Chloe™ top. Elbow sleeves with flounce design and eyelet embroidery at cuffs. 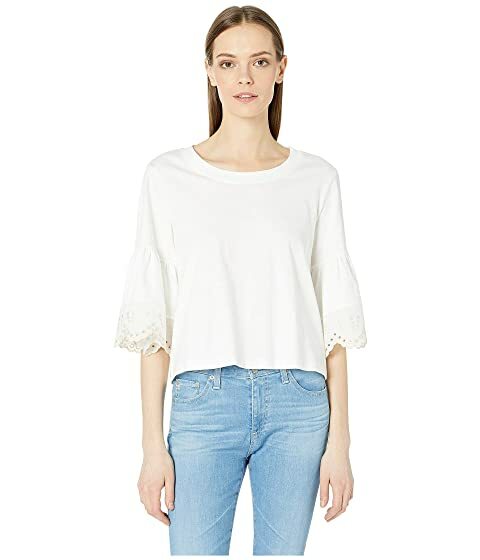 We can't currently find any similar items for the Elbow Sleeve Cotton Jersey Top by See by Chloe. Sorry!